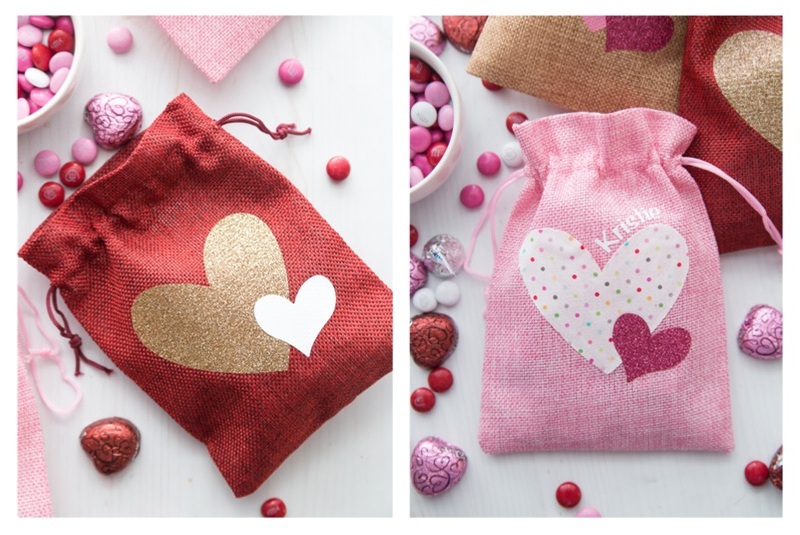 Valentine’s Day Burlap Treat Bags: a simple Valentine’s day craft using the Cricut Maker, rotary blade, fabric and glitter vinyl. Filled with chocolate goodies and perfect to give as little gifts. This year I am hosting my first “Galentine’s” Day party with some of my closet friends and I wanted to make a little something they could take home with them after our party. 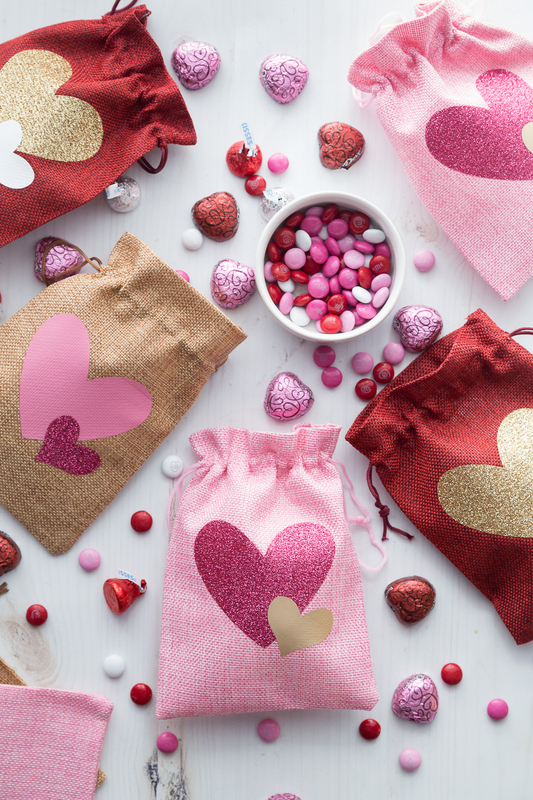 These Valentine’s Day Burlap treat bags are just the perfect craft to make for friends and would even make a cute classroom gift for smaller classrooms. 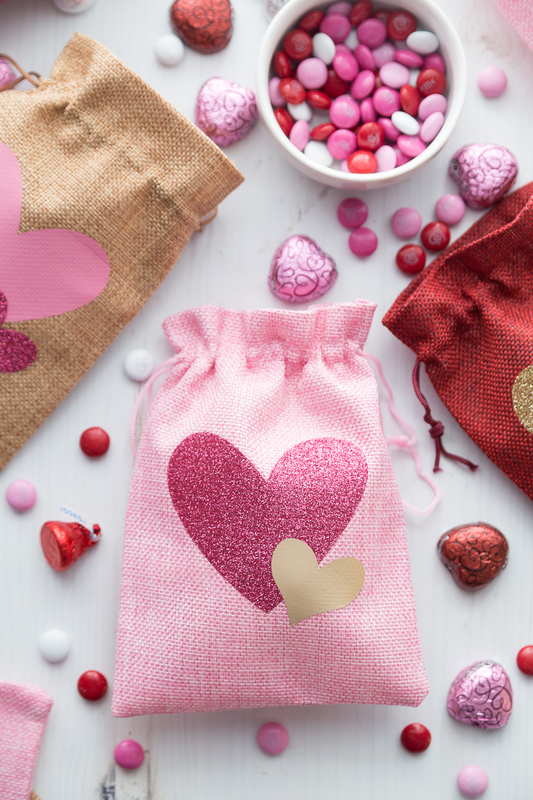 You only need a few simple supplies for these cute treat bags. You can make them with or without fabric depending on what you have or what style you are looking for. I decided to do a few bags with a polka dot fabric heart for a slightly different look and texture. The rest I used all vinyl. This post contains affiliate links. 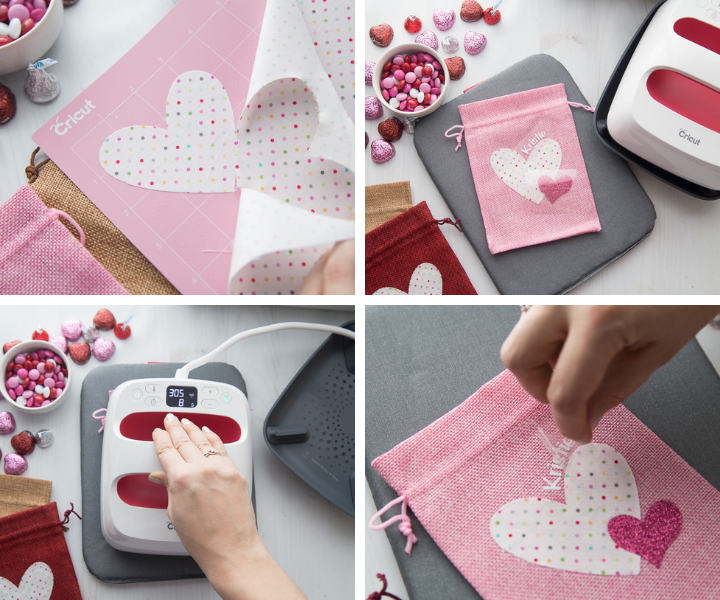 If you decide to make some of your treat bags with a fabric heart you will need to use the star of the show, the Rotary blade. The rotary blade is a sharp blade that cuts beautiful designs and of course simple shapes out of soft fabrics for sewing projects or crafts involving fabric. Do I need to apply fusible interfacing to the fabric before cutting? For this project I didn’t adhere any fusible interfacing to the fabric before cutting. I used fabric glue, such as Liquid Stitch to attach the heart to the burlap bag because I knew this bag won’t get heavy use. If you would like extra strength you can iron on thin fusible interfacing, I personally love the Lite Weight Heat N Bond, to the fabric. Make sure to follow the interfacing instructions, and continue to cut the fabric. 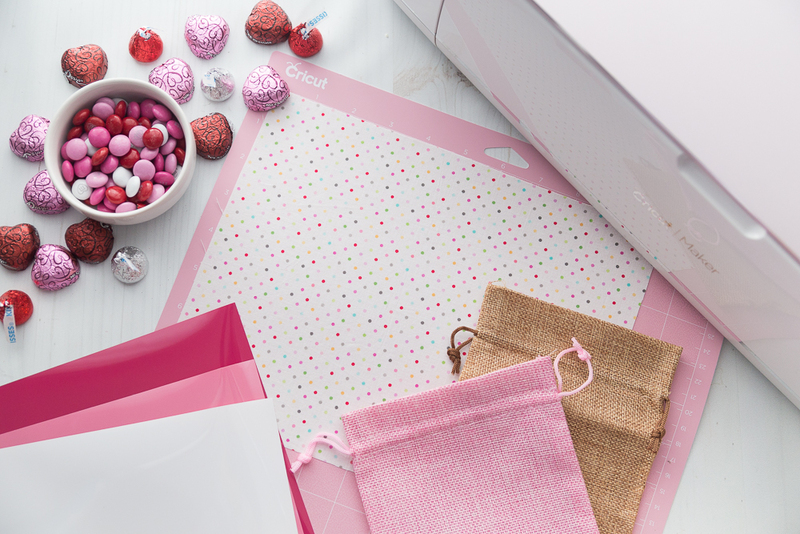 Press your Iron-on pieces to the burlap bag with an EasyPress or Hot iron, following the directions for the specific iron-on vinyl you are using. Slowly peel off your plastic sheeting when ready. 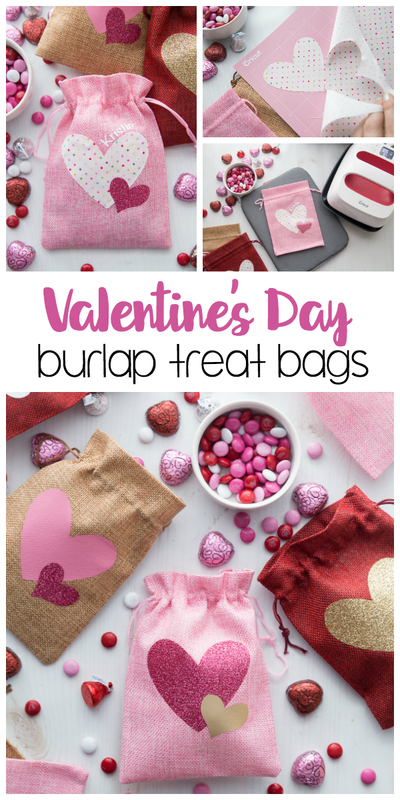 What do I put in my Valentine’s Day Burlap Treat Bags? There are so many things you can put inside these cute treat bags but I would make sure whatever you put inside, food wise, is wrapped. These are sooooo cute!! Wow Cricut has come a long way. I owned an older one but it died last year. I also have a Silhouette cutter. 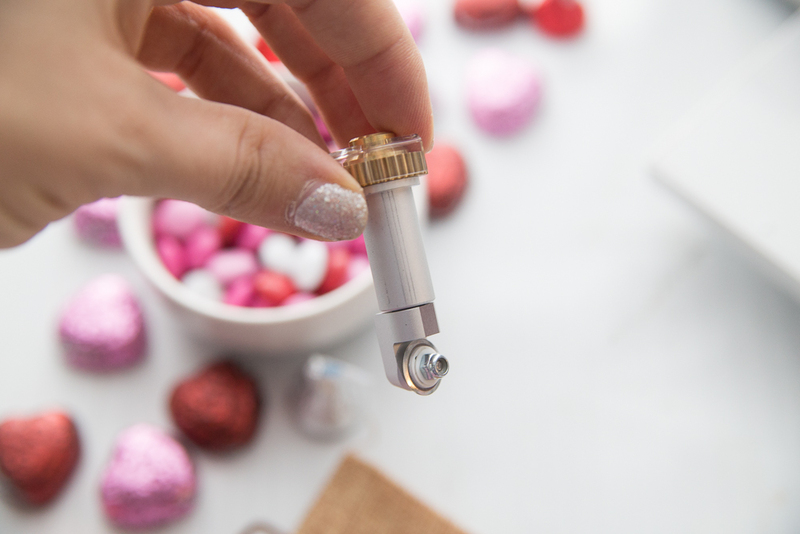 Have fun at your Galentine! !